IS THE NEW WORLD ORDER DYING ? 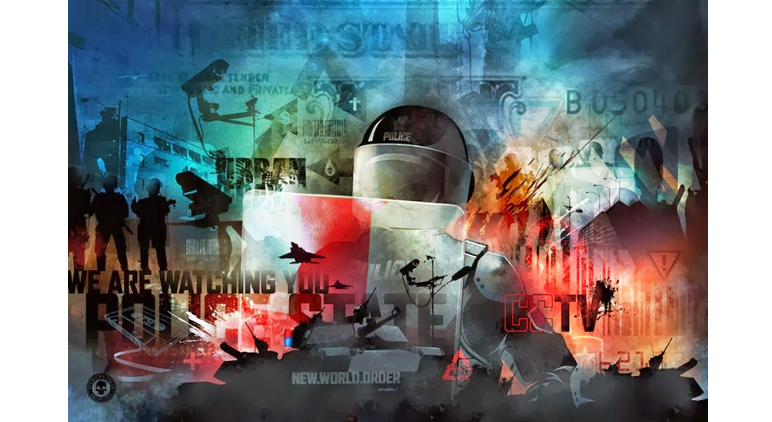 In 2014 I wrote about how the new world order plans sustained quite a few noticeable and uncomfortable setbacks, enough for anyone paying attention to take notice and wonder if 2015 would be worse for the global elite. Well it’s not quite the end of 2015 (as of the time of this article) and already there are signs all around us that the Western cabal’s new world order plans could be slowly dying. Some people would consider this overly optimistic. My response to that is to point out that the journey to human freedom versus enslavement is a dynamic process with ups and downs. Those pushing for a one world government are fighting to prevent awakening and true revolution. They’re fighting to keep people unaware, confused and uninformed about significant domestic and global events. Yes, I agree at times it seems like things are getting worse. But I also notice that when things turn for the worse, things soon afterward often turn for the better. The net result is more than ever people are not believing mainstream media news. One minute we see that the “Strong Cities Network” new world order plans are rolling forward, the next minute we see how U.S. lies about arming terrorist in Syria are being exposed globally. Again, the net result is that in this dynamic process things are trending toward mass awakening and solutions. I interpret this as a possible sign that we are very likely witnessing the slow eventual death of the new world order whose existence is becoming less and less probable as more and more people wake up to the globalist plans. There is change in the air. Orders and paradigms change all the time. Even the very phrase “new world order” is fading away as the globalist opt for terms like “Agenda 2030” whose participation is voluntary leaving it vulnerable to an awakened public. But the full prospects of an Orwellian mechanized brainwashed obedient society that the eugenic controllers dream about seems to be off course and off schedule. I believe there is growing evidence for several years in a row now that the plans of the new world order are dying. This death is the primary reason for the attacks on the Internet. Truth seekers should focus on ways to protect the Internet and free speech as an open Internet I believe all but ensures the defeat of the new world order. What do you think? Is the new world order dying or not? Here are some examples of stories and narratives that have not exactly helped the new world order plans. These examples are in no particular order as they are all important signs of this slow dying process. 1. Russia, Putin dismantle ISIS psyop with direct bombing campaign and new accord with partner nations. We’ve all watched as Russian air strikes have dealt a blow to CIA’s ISIS. Even more striking has been the U.S.’s lack of appreciation for Russian destruction of ISIS targets. And how can pro-“rebel”-ISIS terror partners McCain, Kerry, Obama and company be happy that their proxy terror army is being destroyed along with the U.S. military’s “7 countries in 5 years” war plan for the Middle East? Obviously this is bad news for McCain, Kerry and company. Even Obama’s “ISIS Czar” was forced to step down to avoid embarrassment or worse, being linked to arming and funding a known terror group. And it didn’t help that a few months back Russian hackers exposed the U.S. Intelligence filming one of the fake ISIS beheading videos green screen and all. For that reason we’ve witnessed an enormous amount of daily anti-Syria, anti-Assad, anti-Russia propaganda flowing from Washington. All of this pro-war propaganda only exposes the failing and dying new world order and their PNAC plans. The tides are turning and few events have marked what could be a Middle East political turning point more than Russia’s decision to defend Syria from the West’s ISIS proxy terror group. 2. TV reporter “live” shooting false flag falls completely apart… then disappears from news prompting second seemingly staged shooting one month later. What might arguably be the sloppiest crisis actor shooting in recent history, Sandy Hook notwithstanding, the Virginia TV reporter shooting may have set the bar at a new high in terms of bad actors, bad camera work, improbabilities, coincidences and staged calls for gun control. The death blow to this horrifically failed false flag was seeing not one but two distinct takes of the first shot. At this point the false flag attempt died for good prompting permanent removal from mainstream media’s short term memory bank. The last thing the establishment wanted was to have people sharing awareness of the failed false flag so for that reason they put together the Oregon school shooting about a month later. It was the perfect tool for helping everyone forget the supposed live TV shooting. To highlight a great example of this engineered forgetfulness take note that in December of 2014 I’ve pointed out in the past how the mainstream media deliberately ignored the anniversary of the Sandy Hook supposed massacre. Imagine the mainstream media overlooking the anniversary of the supposed largest childhood massacre in U.S. history. This is a good thing to look out for this coming December to see if they do it again or they roll out a brand new witness “I shot Bin Laden” style. When crisis actor shootings are laid to rest as quickly as the Virginia TV Reporter shooting episode that is a potential sign that the new world order plans may be in trouble. The controllers have to be nervous about the impact of alternative media and the Internet and they seem to have received the message loud and clear. They know that their staged presentations have to be perfect and are subject to intense scrutiny by those awakened. People are catching on to the unchanging script manifesto and all. Again just another sign of a potentially dying plan. 3. 2016 Presidential candidates continually taking jabs at globalist plans … starting to sound like “conspiracy” theorists. Though the election process is still corrupt and controlled by dirty bought off politicians, it’s always interesting to hear sound bites of truth come out of presidential candidates and the debates with increased frequency. Yes, the debates are nothing but a sideshow to begin with, and yes the system is reeking with corruption. But as the new world order dies slowly we continue to hear small comments by certain candidates poking at the controllers, making controversial comments to make people think. Donald Trump naturally comes to mind in this context. We have a very long way to go in this race but I’m quietly wondering every day what “controversial” comments (9/11, vaccines, GMO etc) will be made next to catch the establishment off guard? 4. Bizarre desperate and futile attempt to sell repackaged new world order plans using the Pope falls mostly on deaf and inattentive ears. So much production went into the Pope visit to America. People in awe of the Pope but deep down not knowing why. An ordinary old man representing stale ideologies of the distant past, trying hard to directly touch on political issues without anyone noticing that he was talking about global political issues which happen to be synonymous with the new world order plans. A reminder to us all that some people still believe whatever a single man blindly tells them. Though the Pope was applauded everywhere he went and all of his ideas went unchallenged as usual, there is reason to believe the whole Pope show in America in September of 2015 was another subtle sign that the new world order could be dying. We’ll see how many freedom loving, educated and informed Americans fall for “sustainable” global living psyop enforced by the U.N. I don’t expect too many will go for this. I truly believe Pope followers applauded the Pope because he is the Pope not because they truly comprehended the magnitude of his tyrannical message. I also believe many people heard his global order message and simply didn’t take him seriously. The real question thus is, does anyone actually listen to the Pope? 5. U.S. geopolitical strategies and provocations are now regularly failing. The provocations of old (Pearl Harbor, Gulf of Tonkin, WMD, 9/11) and new (MH-17, Syrian chemical weapons, North Korean “hacking” SONY) are exposed to the world. These provocations are the false flag lies and important pre-war accusation pinned on enemies of countries the U.S. wanted to destroy. These events are cemented into U.S. history and today we are now seeing provocation attempts badly failing. We spoke above about the ISIS plans now blown open by Russia. The thing Russia has done is to sabotage the Pentagon’s “7 countries in 5 years” Middle East plans admitted by General Wesley Clark years after the invasion and destruction of Iraq had begun. The atrocious failures of the U.S. provocations were evident the last few years with the “chemical weapons” claim against Assad and his country of Syria. When U.S. Intelligence strategies are no longer working it could be a small subtle if not obvious sign that the new world order is finally dying. 6. United Nations keeps trying to outline new rules for new world order, no one takes them seriously. Like the Pope, the United Nations has been very busy declaring things that should be, could be and will be, but is anyone outside of the puppet politicians really paying attention? Is anyone prepared to give up their sovereignty and personal interest to the will of the United Nations for any reason? With most Americans not believing in the anthropogenic global warming Al Gore CO2 lies is there any chance people will blindly accept U.N. “sustainable” regulations while the control system pretends climate changing geoengineering is not happening? These are the fundamental questions everyone should ask before thinking that U.N.’s declaration of a need for “sustainable” living is gospel. 7. “Conspiracy theories” now commonly being adopted as reality in some churches and other important sectors of life. Mass resistance to government corruption is at all-time high. The resistance is coming from many directions. Many people are sorting out in their minds how to categorize this rising global tyrannical force. Some Christians are trying to relate this to scripture and prophesies as the link above shows. As truth seekers we’ll take it. Whatever it takes for people to realize what is happening. Many of the “progressive” moves carried out by the Obama administration have quietly backfired on the globalists as people make the connection between today’s social engineering, education system agenda and the occult which the globalist are all into. Another example is people in the health care industry are waking up to the corruption in the medical industrial complex as they observe attempted forced vaccination and heavily funded campaigns to keep people in the dark about the truth behind GMO foods, all the while the cancer-industrial complex make billions. It appears many people from all the sectors of life are now waking up and seeing the truth about what is happening. 8. Attempted secrecy from political leaders and agencies now backfires in ways it never did before. Every day we’re hearing about emails (e.g. Hillary, IRS scandal, IPCC) being exposed to the world showing political corruption and planned lies being told to cover up crimes. These revelations in the form of emails, documents, recordings, videos, whistleblower statements and more are all helping remove presidential candidates and forcing resignations from political positions. I believe the attempted secrecy by politicians is now failing because of the dying new world order which clearly underestimated the impact of the Internet. Humanity is only getting better every day. I hope and expect in the near future to see improved and comprehensive ‘anti-corruption’ applications that will tell the world when a politician is lying and committing a crime. Here’s a thought. Can future A.I. software be programmed to search and expose government corruption? What if A.I. were used against tyranny and top-down control or to expose crisis actor shootings? This question will be answered in due time but for now I see a slow but undeniable pattern shifting in the direction of political accountability. 9. The mainstream media primary portal of information is slowly dying. We’ve heard it many times. Mainstream media ratings are at an all-time low. Every day fewer and fewer people are getting their news from mainstream media. This is a definite problem for the new world order which relies on the mainstream media cooperative mouthpiece to spread their propaganda, lies and deceit. The biggest problem mainstream media faces is us. Yes, alternative new media is rising more than ever because we are covering the whole story not just an agenda driven cookie-cuttter version of the event. The success of true alternative media is that it satisfies the natural human quest for truth by providing information deliberately left out by mainstream media. Anyone can tell a lie and mainstream media will push that lie but it is much harder to stop someone else from revealing the parts you purposely omitted. You can only name-call someone “conspiracy theorist” so many times before the phrase loses its meaning as we have seen over the years. So as long as mainstream media stays on script and filters their monopoly news through CIA these problems of survival and decreasing ratings will continue. Will mainstream media eventually go completely broke and be forced to go away once and for all? I foresee in the future a failed attempt at perhaps a CIA-run single mega network. This single “ministry of truth” network will launch failed attacks on alternative media and be exposed as mainstream media is exposed today. For this reason independent and alternative media must keep moving forward and be ready to deliver the finishing blow to an already dying government information system. 10. Local police pull together, take jab at Big Pharma corruption and greed. Positive police stories are extremely rare today so this one caught my attention. Police in Gloucester, Massachusetts pulled together to expose big pharmaceutical companies contributing to the pain killer drug addiction in their town. This problem is part of the corrupt medical industrial complex which is another part of the new world order. The word is out. People everywhere have had enough of large pharmaceutical companies pushing their dangerous drugs on humanity and killing people with full immunity. It’s nice to see something like this happen to hold these criminal companies accountable. Another example of a slowly dying corrupt system. 11. U.S. blows up hospital in Afghanistan – Doctors and International community call for war crimes charges before it can be blamed on terrorists. This was not an expected headline in the past. Usually U.S. war crimes are hidden or the mainstream media pretends it’s not happening. As usual they (the mainstream media) tried to downplay this story again. They even timed the latest suspected crisis actor mass shooting in Oregon with this event so on the day the U.S. military commits an atrocious war crime against humanity (October 3, 2015) the mainstream media was giving 24/7 coverage to the suspicious crisis actor shooting at Umpqua College which took place around 48 hours prior. Despite this usual attempt to downplay the news of the war crime, thanks to the many other independent, international and alternative news networks the word of the incident got out quickly and is now common knowledge to the international community. Everyone who cares about humanity should be hoping for justice to be served for those murdered while in the hospital sick or taking care of the sick. The severity of this war crime cannot be understated and the fact that the international community is calling for war crime charges puts another dent in the plans of the new world order. Humanity is well aware of who the terrorists are. The walls are closing in and this war crime just made those walls crumble a little quicker. 12. Despite ongoing false flag “mass shootings”, control system not able to pass gun laws legislation. We all observed as another suspected crisis actor shooting took place on October 1, 2015 and another a month prior to that. In the latest shooting incident notice the entire narrative from A to Z was provided by “witnesses.” As usual, no actual pictures of the dead bodies or blood, no images of emergency vehicles rushing to the scene, not one cell phone video emerged from the scene, no authenticated sound, no blood stains on the floor, spent bullet shells or any logically cohesive narrative that makes sense provided. We saw the usual “manifesto” and as usual the shooter ends up dead leaving no evidence for the public to chew on. The entire narrative as I said was provided by select witnesses. That’s the bad news for those who hate being intellectually insulted. The good news which is actually bad news for the globalists and the cooperating Obama administration is that no matter how much they want to disarm Americans, statistics prove over and over again that when Americans are allowed to be armed there are no shootings whatsoever. In other words MORE guns mean LESS mass shootings. But wait, we just said the shooting looked fake. So what do we do about this? Shouldn’t lying to the public be a crime? And shouldn’t we be trying to expose these shooting events. Yes we should by all means, but in the end the logic suggesting that more shootings should be a reason to disarm Americans is fundamentally flawed. For that reason all these false flag shootings are not working and though we may not succeed in awakening others to the false flag at least we can rest assured that there is evidence to show that their plans are all actually backfiring as Americans begin to realize that they cannot afford to not have a weapon. People are realizing that it takes just one armed responsible American to disable a potential shooter and this is much more effective than depending on a liberty destroying police state to provide perceived “safety.” People are realizing that no degree of “safety” is worth giving up your rights for. As long as the globalists don’t see the logic in their way of thinking they will continue to use these shootings to push their agenda, but thankfully it appears that the flaw in their logic won’t allow them to gain any ground on this issue. This is yet another example of the failure of the new world order as they will never get their new world order without disarming everyone and disarming Americans it appears now will never happen. 13. Monsanto losses continue to mount, inching closer to collapse. Another example of the dying new world order as I mentioned in part 1 of this article is the failures of Monsanto which is said to be inching closer and closer to collapse. Every day we hear a Monsanto story as their products are being linked to cancer by other countries, researchers and scientists. Monsanto cannot run or hide. Their name alone is synonymous to many people with evil, corruption, greed, intimidation, deception and much more. Face it, Monsanto has become a representation of what is wrong with humanity today. We never hear Monsanto mentioned in a positive light and there is a reason for that. They do nothing to help humanity. They are directly responsible for all those who get cancer and die as a result of eating years of Monsanto genetically modified foods like the mice did in the famous Seralini studies. That Monsanto is falling is another potential sign of the inevitable collapse of the control system it works for. 14. Police departments nationwide forced to give back grenade launchers, bayonets and tanks. Another story we don’t see too often. Police are now being forced to give back military gear they probably got through the federal 1033 program which allowed the local police to get combat gear to begin with. There is some irony given that the federal government is responsible for the issuing out of this military gear and is also the one asking for it back nationwide. Does the federal government simply want the gear so that they can give it to someone else? Is this part of another nefarious plan? Either way, whenever you take big guns away from the local police that’s another possible sign that the new world order may be slowly dying. 15. Climate alarmist caught in largest scandal in U.S. history. This, in the words of former Virginia State climate scientist Pat Michaels after it was reported that 20 climate alarmists wrote a letter to Obama urging him to use RICO laws to imprison global warming deniers or climate “skeptics.” On top of this the plan is now backfiring as chief climate alarmist ‘Anne Shukla’ is now reportedly facing House investigation for numerous other issues including climate change mega funding without any accountability. The globalist need their global warming lies and climate change “sustainable” agenda without which they’ll never get their Agenda 2030 new world order plans. Of course they will never look to expose geoengineering which is destroying the planet because stopping geoengineering and arresting and imprisoning or executing pilots cooperating with global spraying programs against humanity and the planet doesn’t give them the global carbon tax and control over humanity they need. 16. Texas governor orders federal BLM agents to get out of Texas! Governor Greg Abbott, in response to the ongoing battles between Texas land owners and the federal government’s Bureau of Land Management, wrote “The BLM should demonstrate that the federal government still respects private property rights and end this unconscionable land grab.” Abbott also wrote in April of 2014 “I am about ready to go to the Red River and raise a ‘Come and Take It’ flag to tell the feds to stay out of Texas.” also stating “Texas will not wait any longer” in response to the BLM not answering the questions it’s been asked regarding illegal land grabs. The tone of this inquiry sounds intense. Clearly the state of Texas has had enough of federal government thugs thinking they have power over the state and private land owners and this seemingly soft threat is a reminder that federal government is subordinate to the state according the U.S. Constitution. Let this be a reminder to all that if we are going to allow government to exist then it can only exist in a bottom-up manner where federal government has the least amount of power. Anything else is tyranny. Let this also be a reminder to all that it is up to us to do the things necessary to make sure that power flows from the lowest level upward. Top-down power must be held in check. Empower your town to do what is in the best interest of the people not large corporations, federal government or international bodies who like to push their regulations in the form of “initiatives”. As long as states continue to put the federal government in place and as long as people stand up for themselves at the lowest levels the new world order plans will never succeed because it is dependent on people not realizing their own sovereignty, influence and power at the lowest levels. This may sound simple but I’ll say it again. The simple realization of self ownership, if enough people realize this is all that is needed to ensure the failure of the new world order. We’ve covered many different angles here and there are many more that could have been listed. It’s important to realize that the controllers never stop trying so rest assured that they are licking their wounds and looking for new techniques to implement in order to continue their agendas. The intention of this article is not to spread false hope but to spread motivation and encouragement to all to continue doing what you are doing to help fight for humanity and to inspire you to do more. The battle is ongoing and we can’t ever assume the battle is over all already won. We are nowhere near that point, however the victories are all around us. Victories and accomplishments we could not have imagined just a few years ago.